Crime thriller! Suspense!! Drama-Thrill!! If these such words makes your list of watching stuff, then this article is written just for you. With some of the most popular and wonderful Content, it would not be wrong to say that Netflix has dominance over the content based material. Today greatest of movies to the most epic shows are released on Netflix. Thriller series has their own enigma and Netflix is packed with best of thrilling crime shows. WheeBuzz digs out 7 best crime shows on Netflix. Here we go. Sherlock is one such show that overrides any other in that genre. One of the most popular shows on the Crime thrill genre and one of the greatest names in the history of detective novels ‘Sherlock’ suits best for the show. Also, Benedict Cumberbatch rolls you through the ups and downs of the journey with his fascinating voice of a true detective. Studying damaged psyches, if someone can catch the serial killers, then wouldn’t it an amazing skill? Well, this is what MindHunter is packed with – the unreal, unthinkable and original. The story is about two FBI agents who do that. MindHunter is certainly one of the most popular crime thriller shows on Netflix. Ok so John Luther is a Detective who is incredibly obsessed with things that he should be obsessed with, and with every case he has got even more advanced. 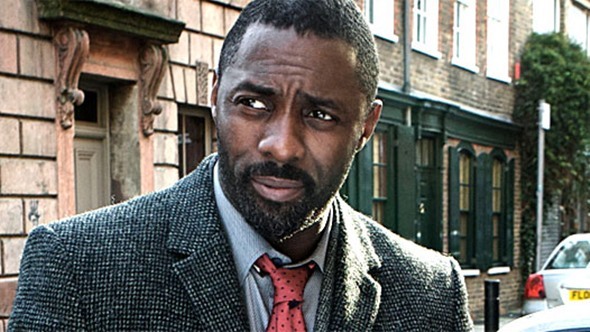 Luther is a very popular show among those who love serial killers, crime thriller, and suspense kind of concepts. Miss Luther at your own risk. With five seasons and 48 episodes, this Australian crime show is an amazing work of story and direction. There is a reason why the show has made it to the list. Well, I think criminal cases are everybody’s corner of interest and this show is a rollercoaster ride of the same. The rating of 8.5 on IMDb and enormously popular show can’t be missed at any cost. The story revolves around the cop Catherine Cawood who has lost her daughter. With a lot of crime shows, Happy valley would not be any same, but has a lot of drama and true sense of thrill. Also, the really rich acting of the actress makes it a never to miss. It is a classical prison drama from yet another Australian maker. One of the unique of its own kind has a massive audience from all across the World. Nothing really like women in prison kind of drama has been that popular like Wentworth. Also, the rating of 8.7 on IMDb says everything about the story, cast and essence of the show. Narcos is one of the most popular crime shows ever. Also, it is one of the highest rated shows as well. Do not tell you have not heard about this show. The story revolves around the life of real drug lord of Columbia Pablo Escobar who became insanely popular in 1980s. Don’t wanna reveal much about the show, because anything about the show told before watching is a sheer deprivation of twists and turns of the show.